The Maryland Horse Breeders Association membership selected three new members and two incumbents to the Board of Directors, as announced June 12. Dictated by MHBA bylaws, the annually held election fills five open seats on the board. Those elected this year will serve for the next three years. Michael Harrison, Christy Holden and Theresa Wiseman join incumbents Kent Murray and David Wade. Holden was elected for the first time; Wiseman was a president appointee in 2017. Kent Murray — The son of late board member E. Allen Murray grew up on the family’s Murmur Farm in Darlington. The Aberdeen (Harford County) resident owns Twin Oaks Farm, a horse boarding facility, with his wife Donna, and is a consultant and account manager for Murmur Farm. A program manager for Northrop Grmman Corporation, he has a bachelor degree in electorial engineering and a master in business administration. First elected to the MHBA Board in 2015, he is also currently on the board of directors of Maryland Million. David Wade — General manager of Northview Stallion Station and, for more than 30 years, the manager of Sycamore Hall Farm in Chesapeake City (Cecil County), Wade, who is also a sales agent, has been on the MHBA board since 2016. With his wife Maureen, Wade also breeds on a small scale, counting among his top performers Maryland-bred champions Sparkling Number and Celestial Legend. Wade has served on the MHBA Sales committee, Stallion committee, Events committee, MHBA Yearling Show committee and steering committee of Farm Managers Club. Michael Harrison DVM — Owns and operates Willowdale Farm in Butler (Baltimore County), which has been in his family since 1962. A practicing equine veterinarian for more than 35 years, he first appeared on the MHBA board as a presidential appointee in 2009 and 2010, and was elected to serve two terms through 2016. 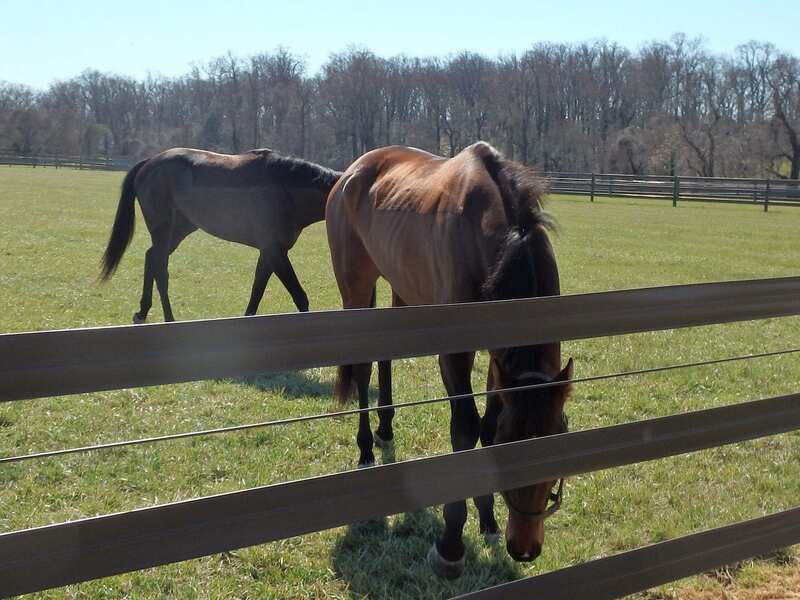 A chairman of the MHBA Legislative committee, Harrison notes: “The tide is turning on racing and breeding in the state of Maryland, thanks to our legislators, the hard work of many, and an enlightened, proactive Racing Commission. Christy Holden — The first-time electee, a resident of Forest Hill (Harford County), Holden is general manager of Country Life and Merryland Farms, where she has worked since 2004. She has a bachelor’s degree in business administration and had previously been an office manager for Woodward Assoc., selling fire trucks and equipment, and a commercial lines representative at Earl A. Klein Insurance Agency. In addition to managing the five stallions at Country Life, she has overseen the foalings of more than 400 mares in her career and prepared and showed dozens of yearlings at the MHBA Annual Yearling Show. Theresa Wiseman — Founder and president of MediaWise Inc., a media relations consulting firm, Wiseman was a president appointee to the MHBA board in 2017. She has served on MHBA Social Media and Marketing committee (the chair since 2017), Events committee and Member Relations committee. With a B.A in communication arts, she has held such positions as director of media relations at her alma mater, the College of Notre Dame of Maryland, and director of public relations and development, marketing and news editor at The Catholic Review. She has owned horses in various partnerships since 2012. Of the five directors whose terms expired in 2018, Robert B. White, Richard F. Blue Jr. and John C. Davison were ineligible to stand for reelection because of having served six consecutive years as a member of the MHBA Board. Those whose terms have not expired are Brooke Bowman DVM, Rebecca B. Davis, David DiPietro, Louis Merryman, David Moose, Sabrina Moore, Larry Murray, James B. Steele Jr., Hunter Rankin and William S. Reightler. The complete election results, along with Committee presentations and a presentation on MHBA’s new partnership and future with Goucher College, will be on the agenda at the MHBA annual general membership meeting, to be held June 25, starting at 12 p.m., at Buchner Hall at Goucher College in Towson, Md.